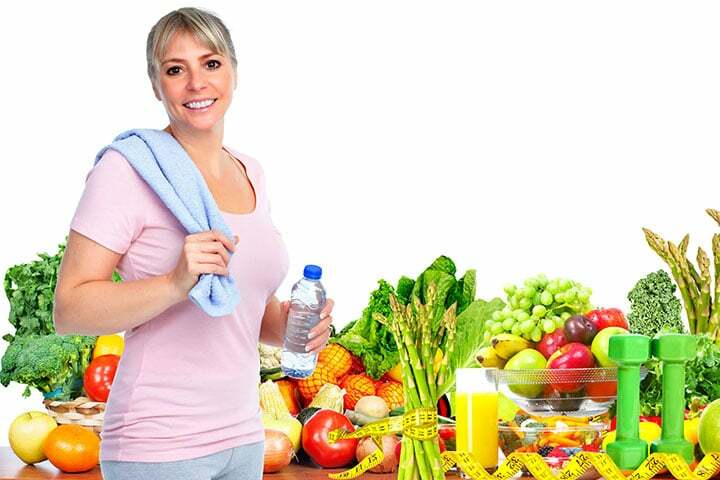 While lots of people don’t worry about gaining a few pounds over the decades, it’s an entirely different thing if you’re a woman and you’ve gained more than just a couple of pounds. 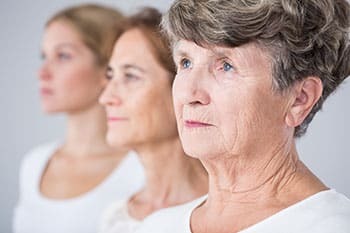 A woman’s body tends to work differently with men and a few complications can crop up if they do get flabbier and older. The fact that women are more likely to store fat than men is another big problem that needs to be recognized. This will make the middle age spread more of a female problem in many instances, as women are hardwired to store fats for childbearing. As females need to store more energy to foster another human being inside them, their bodies won’t burn fat as fast as their male counterparts. This, combined with age, can doom the female species to be wider as they reach near their senior years. Weight loss for women over 50 isn’t entirely impossible, though, so don’t lose hope. While it is admittedly trickier, it’s not something that you can’t do. Like any weight loss regime, it’s the implementation of the process that’s the biggest challenge. Discipline, drive, and the right techniques are what you need to lose weight effectively in your mid-life. Before driving straight to how to shed pounds at a later age, it’s very important to understand why doing so is much harder as you get older. This way, you can get a good idea with how your body functions and allowing you to take the right measures to work around its limitations and even boost its capabilities. This can also help you ensure that your efforts won’t go to waste, as you’ll be able to easily tell which techniques will give you positive effects, and which ones won’t. The first thing aging does to the body is slow down its metabolism. You may have already noticed this in your late 20s, as you soon start to feel bloated by eating the same amount of food you used to consume a few years prior. This is around the same time that your lifestyle becomes sedentary – when you’ve settled into your work and you’re spending more hours parked in front of a computer. This lifestyle can make you lose muscles, for starters. But around this age, your growth hormone also starts to decrease in production. Since you’re already matured by the time you’ve entered the workforce, the sedentary lifestyle and the lower amount of hormones that make use of fat, produce proteins, and build muscle mass combined will really lead to weight gain and muscle loss. Pregnancy is also to blame for most women’s weight gain. A lot of ladies tend to let loose and eat too much when preggers, which may sound sane to some people as they are feeding two people already. However, when you put things into perspective and realize that fetuses are just a few centimeters big when the weight gain starts, you’ll easily see that a lot of women do eat so much more than what’s ideal for their situation. And since their metabolism aren’t that quick and they don’t get to burn as much calories in exchange, it’s just a recipe for a whole lot of weight gain. While breastfeeding will let you burn 500 to 1000 calories in a day, the fact that not every mom gets to breastfeed doesn’t make this option a foolproof solution for the ladies who piled on some weight during pregnancy. Also, your metabolism will also reset to your pre-pregnancy rate once you start weaning your baby, so it’s really not the best way to deal with the extra pounds. As you enter your 40s and your middle age years, a woman’s set of hormones starts to tank. This is mostly because the body starts to become an unviable child carrier because of its age, causing a decrease in estrogen, progesterone, and the human growth hormones. This causes further slowing down of one’s metabolism and lesser ability to build muscles on its own. All of these further lead to easier weight gain and a bigger challenge to ditch the pounds. Menopause makes things worse. With estrogen levels hitting an all-time low, it’s natural for most women to eat more and not want to be physically active. It also contributes to a slower metabolic rate and makes the body less capable of effectively using starches and blood sugar, all of which lead to more weight gain. Then there’s the possibility of having a host of various illnesses that can prevent you from enjoying a more active lifestyle to stave off the extra pounds. As you age, your joints become weaker and your resistance to illnesses can be lower. Exercising can be a bigger challenge than ever, so many just live with the extra pounds. While people think that it’s perfectly natural to get the mid-life flab, its dangers should also be considered closely as well. It might feel like you just need to go a size or two bigger, but those extra inches on your waist can also up the risks of high blood pressure, diabetes, and heart disease among many others. You also become at risk of different kinds of cancer including breast, endometrial, and colon cancer. Breathing problems will also be very common. All of these will significantly affect your quality of life and even diminish it altogether. So, dealing with the middle-age spread is definitely a must if you’re already starting to feel like you need new pants with a 35-inch waistline. Curbing your weight gain when all your body wants to do is make you fat can be a serious challenge. However, it’s not impossible to do. You just need to find surefire ways to get it done. Thankfully, the experts have shared the secrets to deal with this problem. Some of their tips are the following. The very first thing that will give you great results when trying to lose weight at 50 is to watch what and how much you eat. Your body doesn’t need and can’t process as much food as you once consumed in your 20s, so you can definitely eat fewer calories per day and it’s perfectly okay. A 50-year-old woman who doesn’t really move much can stick with 1600 calories per day to maintain her weight. Those who are slightly more active can up their consumption at 1800 calories daily. If you’re really active and athletic, however, 2000 to 2200 calories should be your threshold. Again, these may not seem much, but as your body doesn’t really require more calories, it shouldn’t be a problem. To ensure that you’re satiated and getting the necessary nutrients your body needs to stay in top shape, picking the right kinds of food is essential. To stave off hunger for as much as you can, loading up your diet with fiber-rich and whole food items is a great technique. These will help make you feel full and even assist your digestion so you can better process what you eat and absorb the nutrients they contain. Getting a good dose of protein will also help you out greatly as it will fill you up easily. Beans, legumes, nuts, and seeds should be included in your diet as they’re mostly low in calories but rich in satiety factor and flavor. Some varieties like soybeans, tofu, miso, and edamame can also increase the isoflavones in the body which can then mimic estrogen that will help your hormone stay in check. For your sweet fix, ditch artificial sweeteners and snack on fruits and vegetables. These can also keep your calorie count low, so you can eat more without having to worry about what you eat. Just be careful if you have diabetes, though, as natural sugar can still give your blood sugar a spike. Ditching processed foods is also a must if you want to beat the middle-age spread. Sweets and alcohol consumption should be limited if you really can’t kick them to the curb. Balancing them out by drinking lots and lots of water will also help, but it will really be the best if you just avoid them altogether. To effectively control your caloric intake, it’s best to plan your meals instead of obsessively counting your calories. This will also take the stress out of eating, as you’re not constantly on edge about what goes into your body. It might require a bit more effort to get it done as preparing food from scratch can be more tedious than ordering in, but it’s also cheaper and more effective to reach your goals. If you do not have the time to deal with careful meal planning, you can get some help from various healthy meal preparation and delivery companies today. If you live in a big city, you can find healthy meals subscription programs that will ensure that you’re only eating the necessary amount of calories using the best ingredients available. They can be pricier than whipping up your meals on your own, but if it helps you save a lot of time, it can be well worth it. Some people might think that 50 is already too old to start working out, but this isn’t true. Exercise is highly beneficial for those who are experiencing the middle-age spread, so it’s important to keep moving. However, if you’re hesitant because of the pains and aches you might already be experiencing, fret not. There are tons of different workout routines that will help you burn fats and calories that won’t throw your back or injure you. You shouldn’t go all out on your workout routine on your initial try, though. As you might have already experienced a good amount of muscle and bone loss, you can’t just signup for CrossFit and other equally high-intensity workout classes. It’s also best if you see your doctor and a physical therapist first so they can take a look at the state of your body and recommend routines that won’t hurt throw your back and damage your joints. 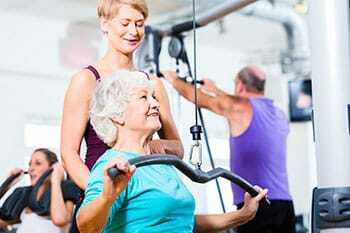 Aerobic workouts are highly recommended for women who are after weight loss over 50. These can help you shed the extra pounds and maintain a healthy weight. Menopausal women who spend sixty minutes doing this kind of exercise are proven to have great fat-loss results, so it’s certainly worth a shot. However, again, due to possible bone problems that come with age, you can’t just do intense cardio routines. The best workouts, on the other hand, will be swimming, brisk walking, and biking. Any water exercise will be perfect, actually, as being in the water offers your body more support, so your joints are better cushioned from the impact of your movements, letting you enjoy the benefits of the workouts and eliminate its danger at the same time. Weight training is also highly recommended by experts. As your body starts to lose muscle mass with age, countering it with efforts to build muscle makes perfect sense. Because your body may not be able to form muscles on its own but it doesn’t mean that you can’t give it a good push to achieve such results. By improving your muscle mass, you’re also increasing your metabolic rate, therefore giving your weight loss efforts a boost. So don’t be shy and start lifting some weights. When lifting weights, though, you should always be careful so as not to injure yourself. Always make sure that you have the proper form and that you’re not going overboard in terms of heft. You will want to challenge yourself to ensure muscle building, but you shouldn’t try to work with too heavy weights that you end up injuring yourself in the process. Trying to balance your hormones will also help you curb your appetite and get your body running at its full capacity. This is particularly important for menopausal women as their hormones are naturally out of whack at this point in their lives. By working on your hormones, you won’t just be able to manage your weight gain, but it can also help you alleviate the effects of the condition. Stress is also one of the things that can make you pile on the pounds. Most 50-year-olds tend to have more stressful daily lives with the added responsibilities they have and other considerations like sending kids to college or caring for aging parents. There are just so many things to worry about at this point that you might resort to stress eating and choose to be more sedentary than hitting the gym. By managing your stress, you’ll be able to live a healthier lifestyle. By lifting the burden off your shoulders, your body won’t have to go into overdrive to deal with the stress. All of its bad effects can also be curbed, so it’s a win for everyone involved. As the female body is naturally inclined to store more fat, it shouldn’t come as a surprise that women tend to gain more weight easier than men. This makes the struggle for weight loss after 50 a bigger ordeal for them, thus requiring special attention and care. If you’re one of the many fabulous ladies who doesn’t want to let their mid-life flabs get the most of their golden years, taking necessary steps is a must. Hopefully, this quick guide was able to help.